In a previous post, I offered tips for dating while separated. That article provides guidance to couples who agree that dating while separated is okay. But what rules apply when only one spouse thinks it’s okay to date before the divorce is final? Let’s consider the case of John and Mary. Recently separated, John had begun dating; Mary was adamant that dating now was inappropriate. From John’s perspective, their marriage had been emotionally and physically dead for a couple of years already. Since they had agreed to divorce, he reasoned, why wait another unhappy year to move on with their lives? From Mary’s perspective, John’s dating put their family at the center of the gossip mill and felt embarrassing and shameful. Further, she believed it taught immoral behavior to their 7-year old son. Although John and Mary may each may have a legitimate perspective, neither one is likely to convince the other to change his or her mind on this topic. It is equally unlikely that they will be able to negotiate an amicable and uncontested divorce until this preliminary issue is resolved. In my experience as an attorney and divorce mediator, it doesn’t matter if John’s point-of-view is valid. Dating under these circumstances will sabotage his goal of achieving an amicable, uncontested divorce. While there are a number of emotional and legal reasons to refrain from dating under these circumstances, here I offer five pragmatic reasons why it makes sense to wait to date until after you’re divorced. If spouses don’t mutually agree that it’s okay to date during their separation, then dating creates more conflict. Conflict negatively impacts your life in innumerable ways, including your performance at work, your emotional well-being and your relationship with your children. Your spouse’s feelings of hurt and shame can lead to the desire to seek punishment and revenge. At the very least, your spouse will want to “save face” in the view of family, friends, neighbors and colleagues. So he/she pursues a settlement that lets the world know they were wronged and that you are clearly the villain. “Winning” becomes the goal rather than a quick and fair settlement. Your spouse’s hurt feelings will put him/her on the defensive… which causes your spouse to seek more support out of fear… which drives up legal expenses and prolongs the divorce process. This divorce will not come quickly or inexpensively. It’s hard enough to attract new partners when your status is “separated.” If you are separated and in high conflict with your spouse, it makes you even less desirable. New partners observe and – yes, analyze – your behavior during your separation. The way you treat your spouse is the best indicator of the way a new partner will be treated by you. An amicable, uncontested divorce is the quickest, least damaging and most cost-efficient route to divorce. 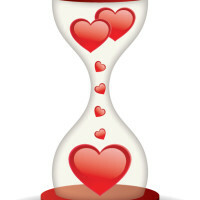 If you are separated and ready to date – and your spouse is not – it pays to wait.